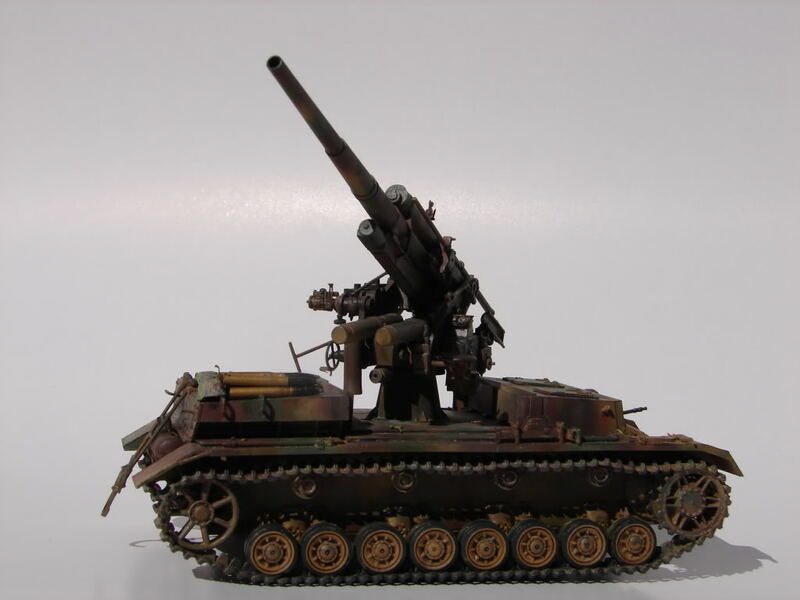 The kit represents a Panzer IV ausf.H with Flak 88 gun, used in the last months of WW2 in desperate defense of Germany, 1945. 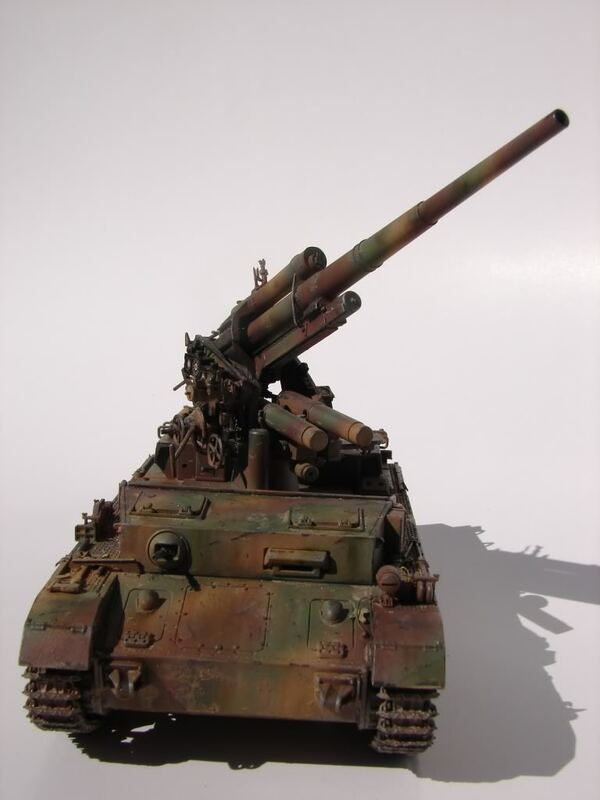 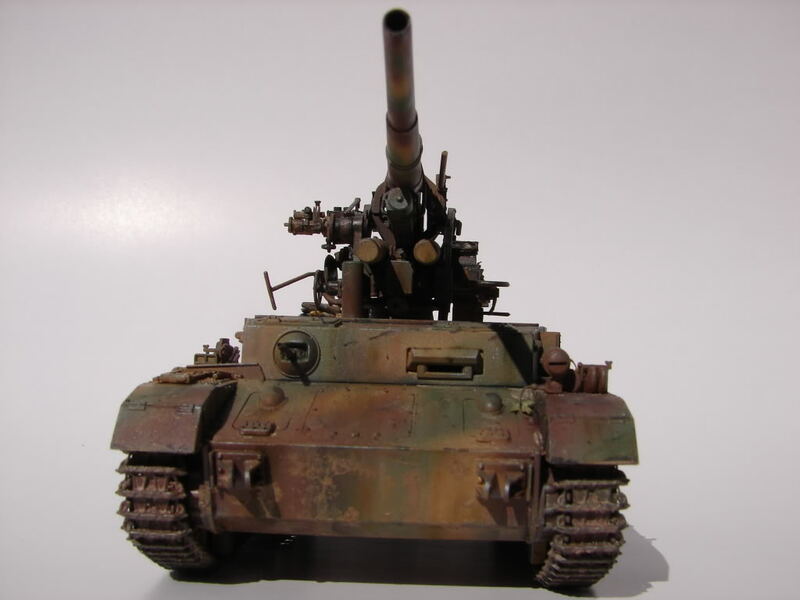 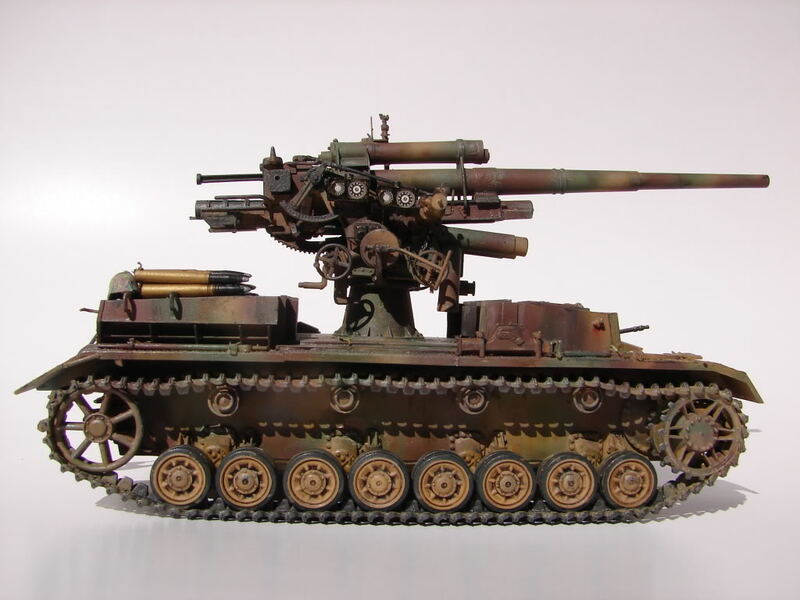 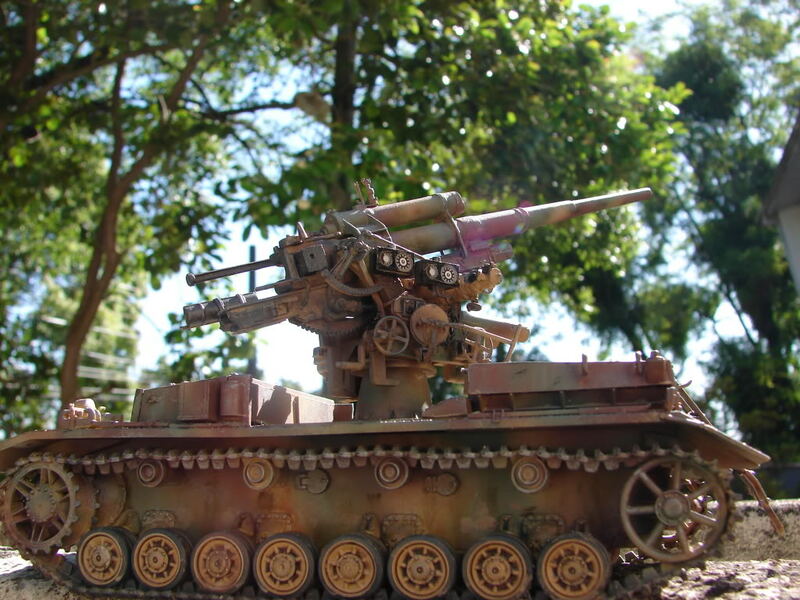 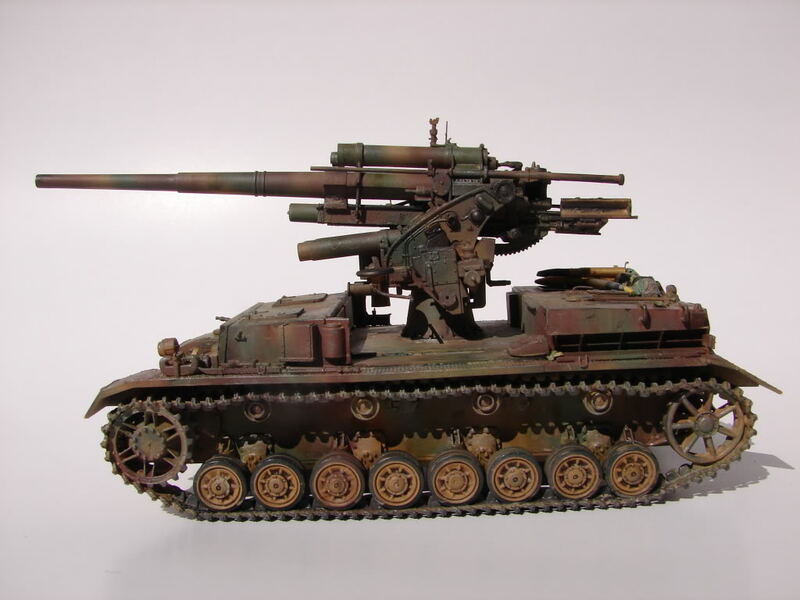 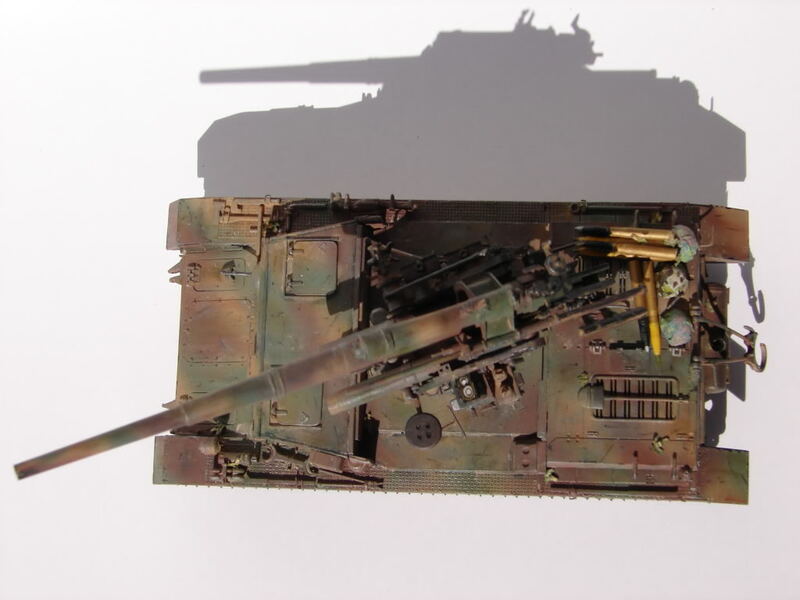 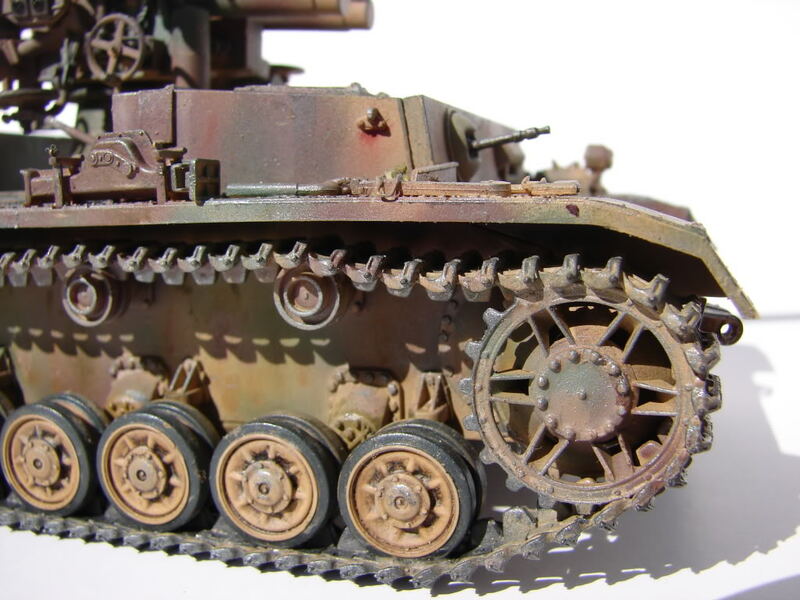 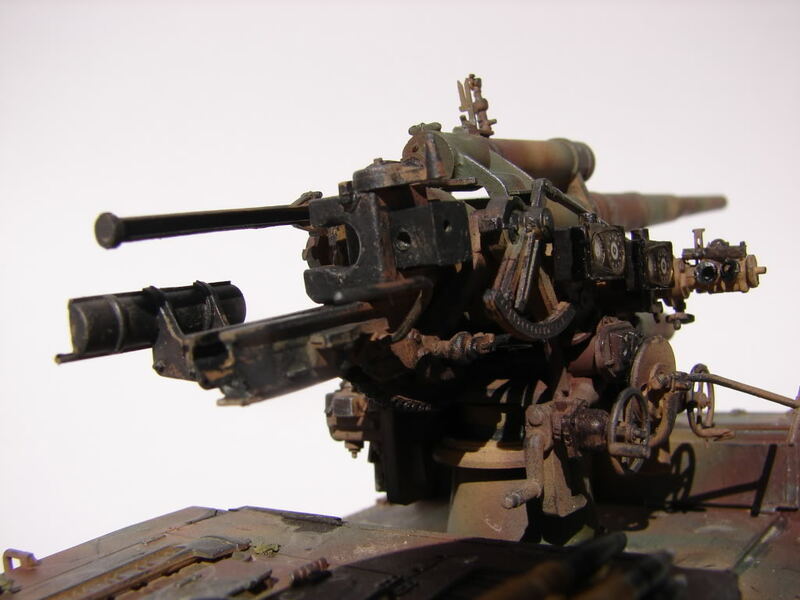 This is the 1/35 Cyber Hobby 8.8 cm Flak 37 auf Pz.Kpw.IV ausf H, item 6667, plus super detailing. 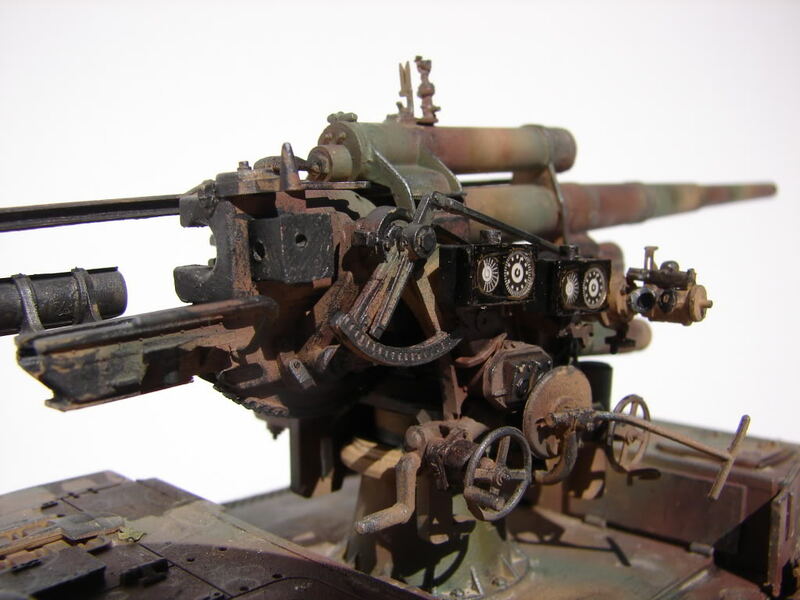 Unfortunately, this kit has unexpected failures, particularly the cannon without horizontal and vertical movement, gun tube with reduced size, does not bring the gunner seat´s, lack of the fuse box. 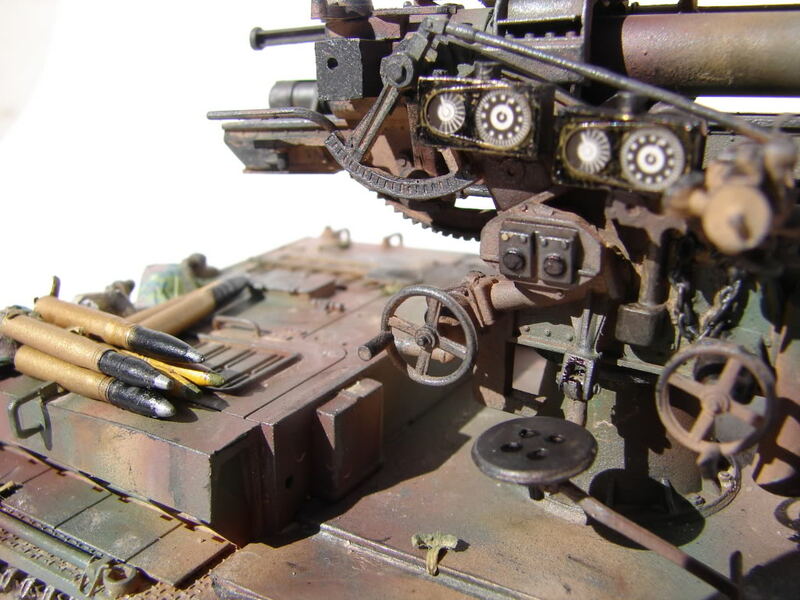 I corrected all this itens. 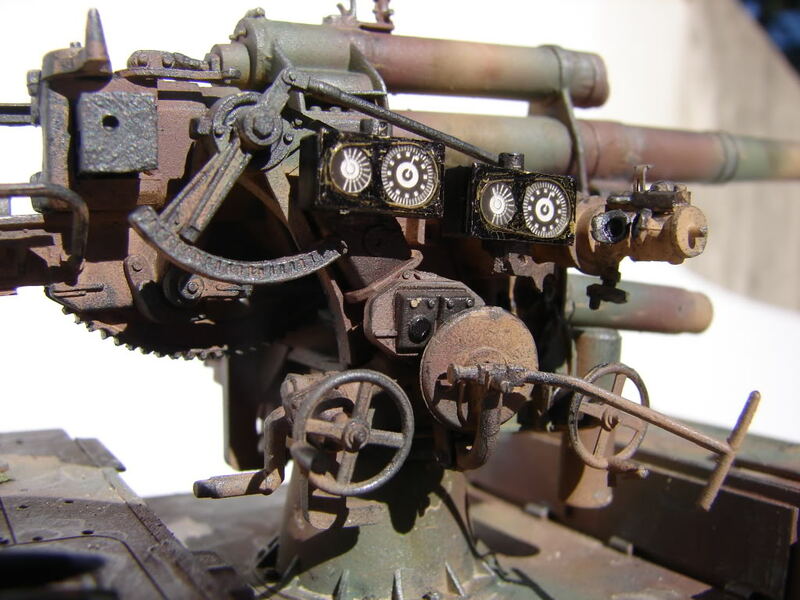 I also changed the drive sprocket to late version, the support of gun tube, links, the whole system of optical sights and dials, and many other things.. 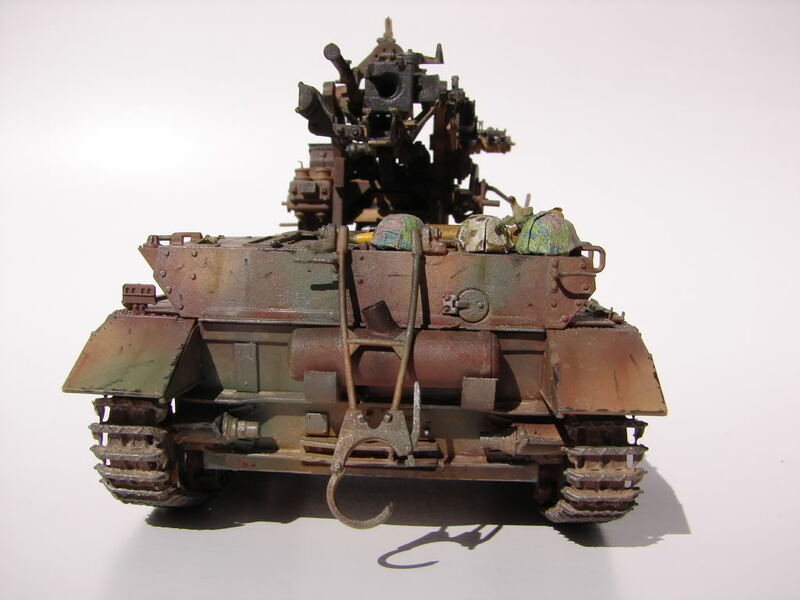 I did a moderate weathering, because the vehicle fought for a short time.